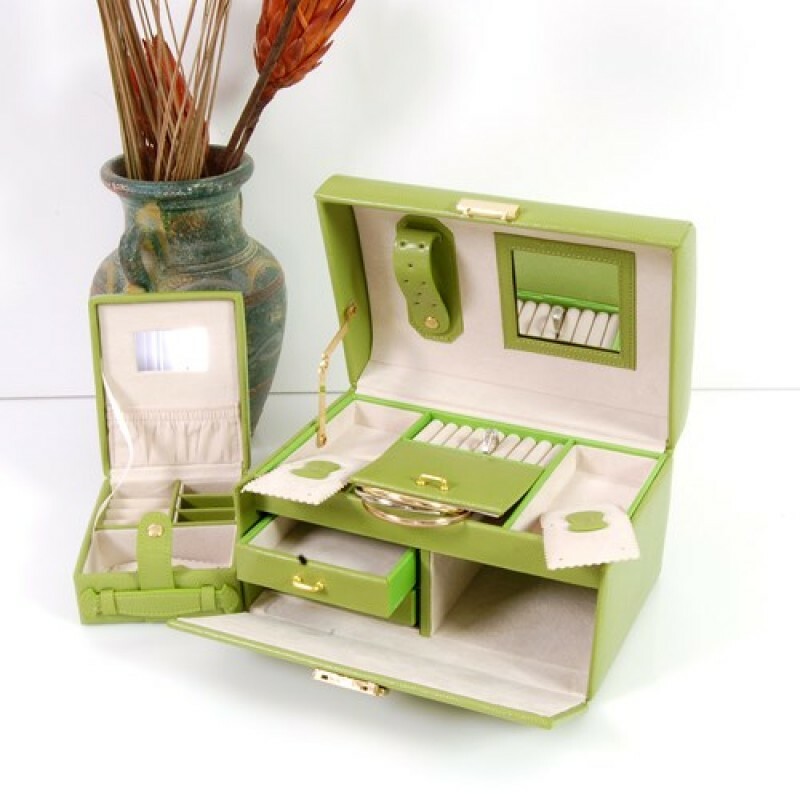 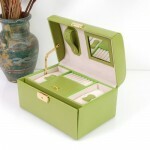 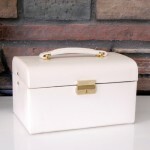 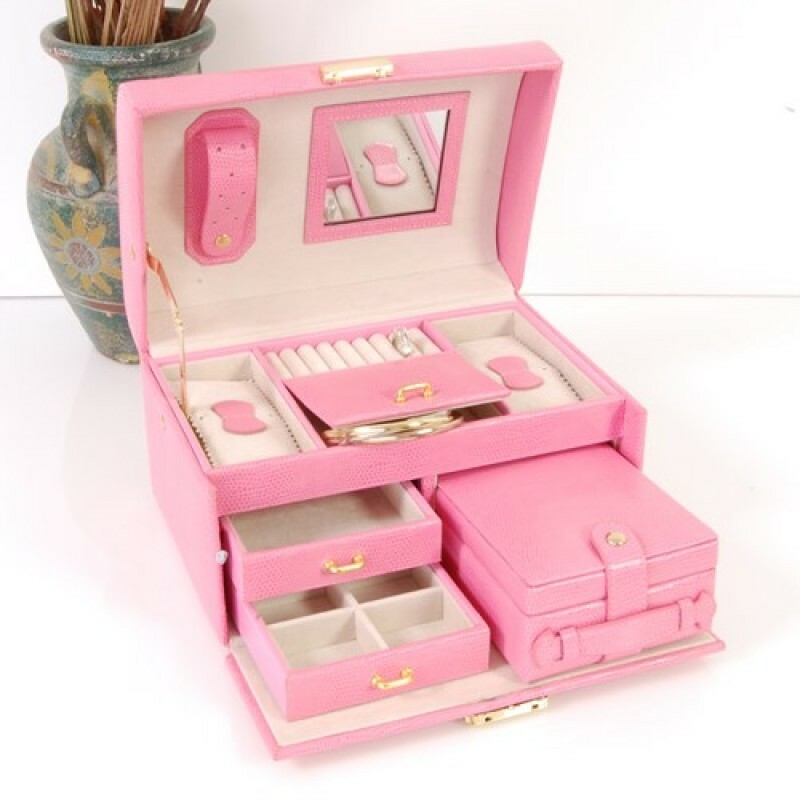 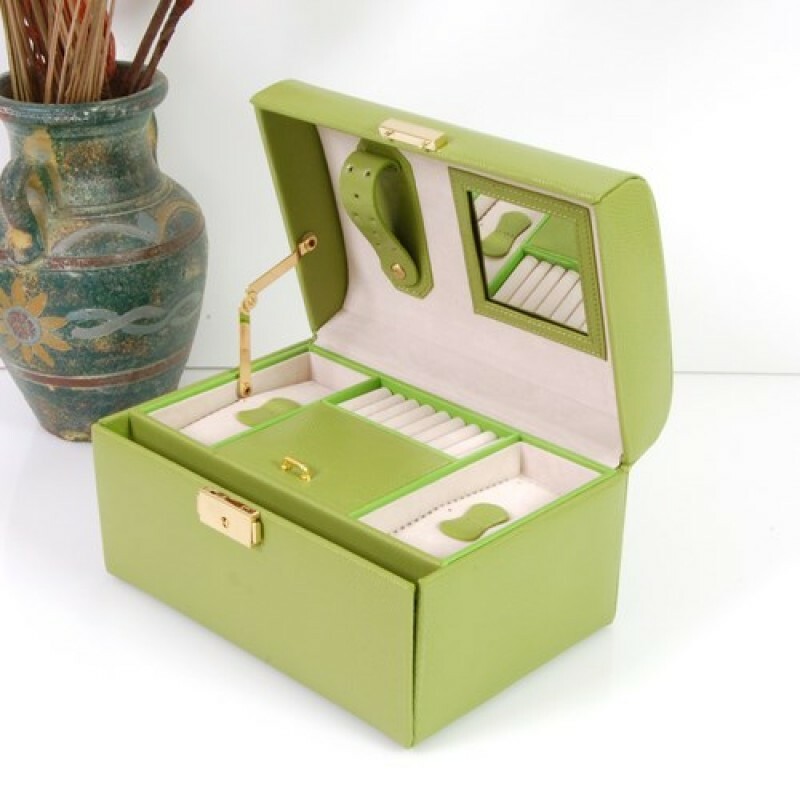 This is the best seller of our medium to large jewelry boxes by far. 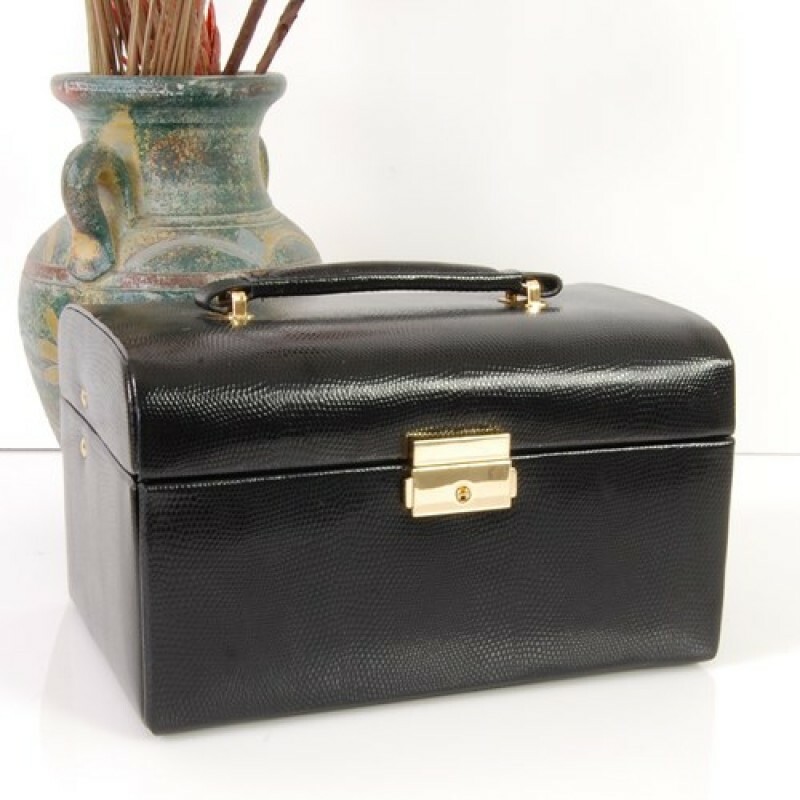 When closed it measures appx 9”x 6” and has a depth of appx 6 ¼”. 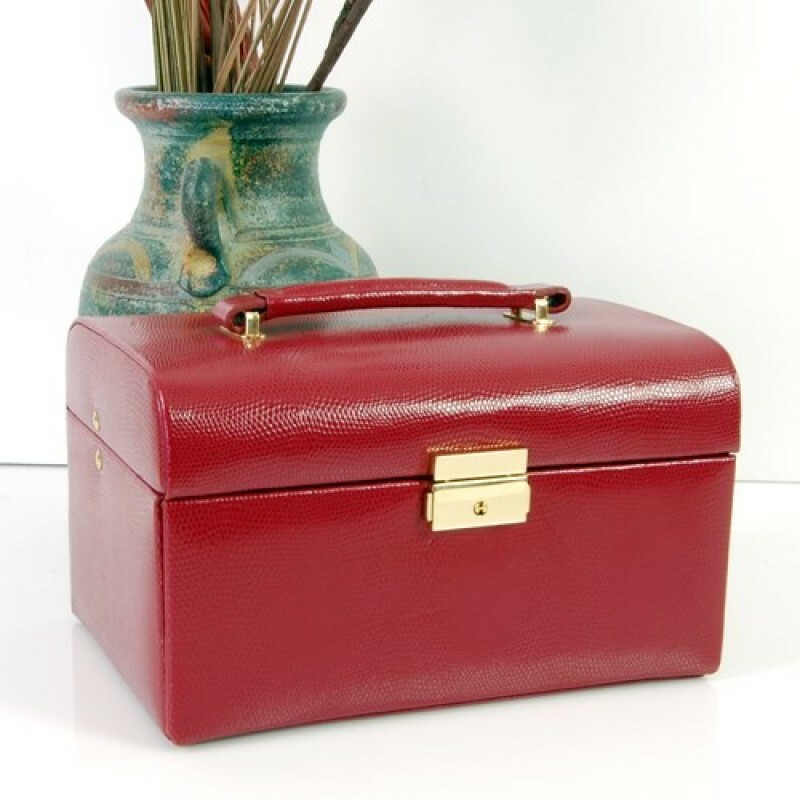 It has a top handle and is accented by gold plated brass hardware. 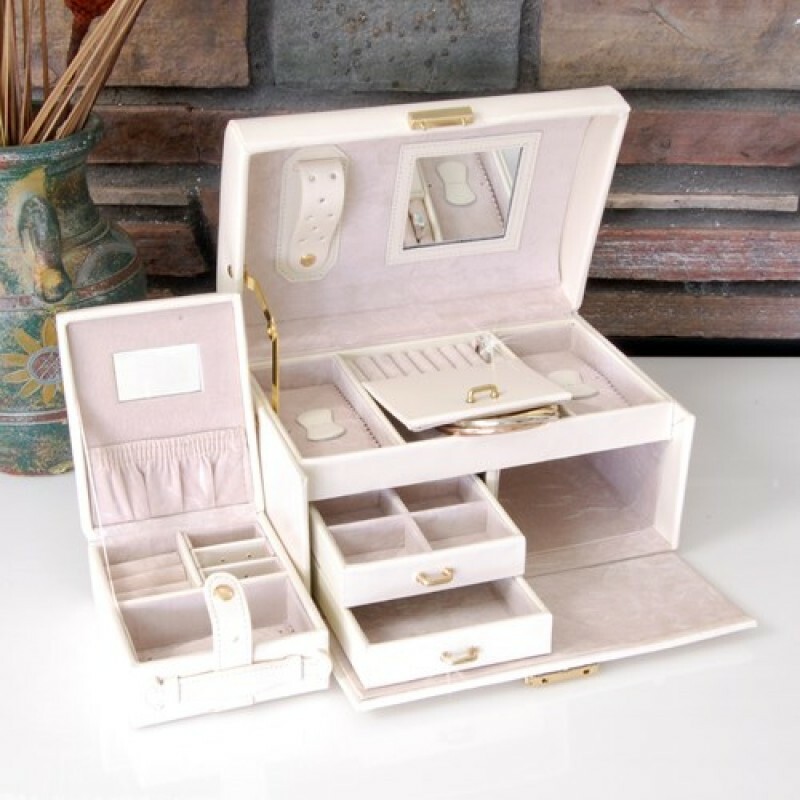 When opened is stands at appx 10 ¼” high and you will see an earring loop, a 3”x 3” mirror, two 2X5” storage areas with removable covers, a ring bar and a middle storage area with lift up cover. 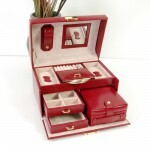 You will also see 2 drawers, one with 6 divided cubes, one wide open storage, and one with a handle. 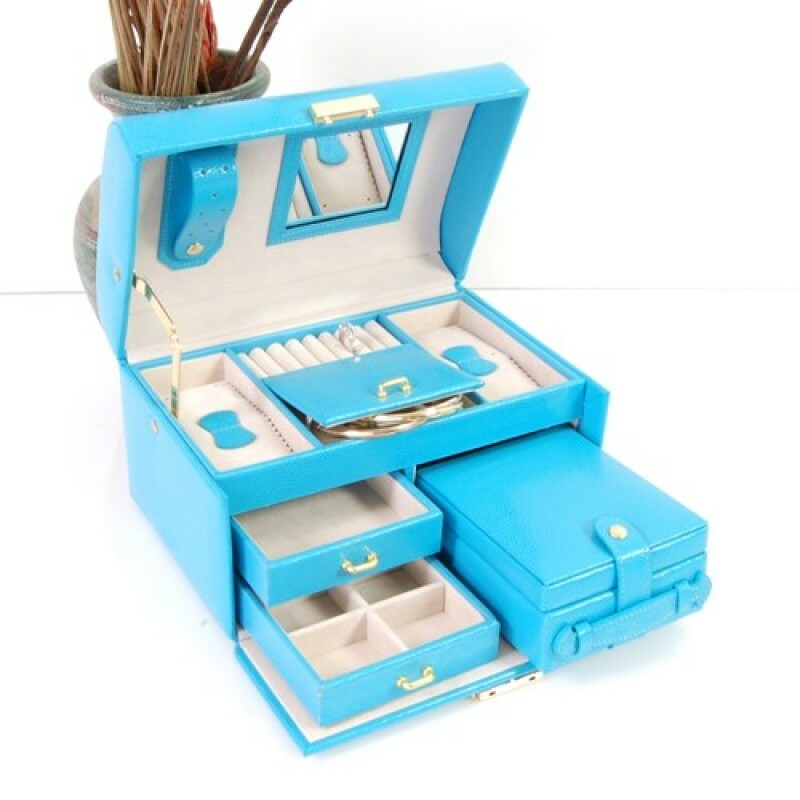 The drawer with the handle is yet another storage area in this box or it is a jewelry box unto itself. 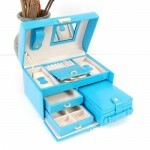 It can be used as a take away travel box! The take away measures appx 4”x 2” and 5” deep, a perfect little size fit to pack almost anywhere. 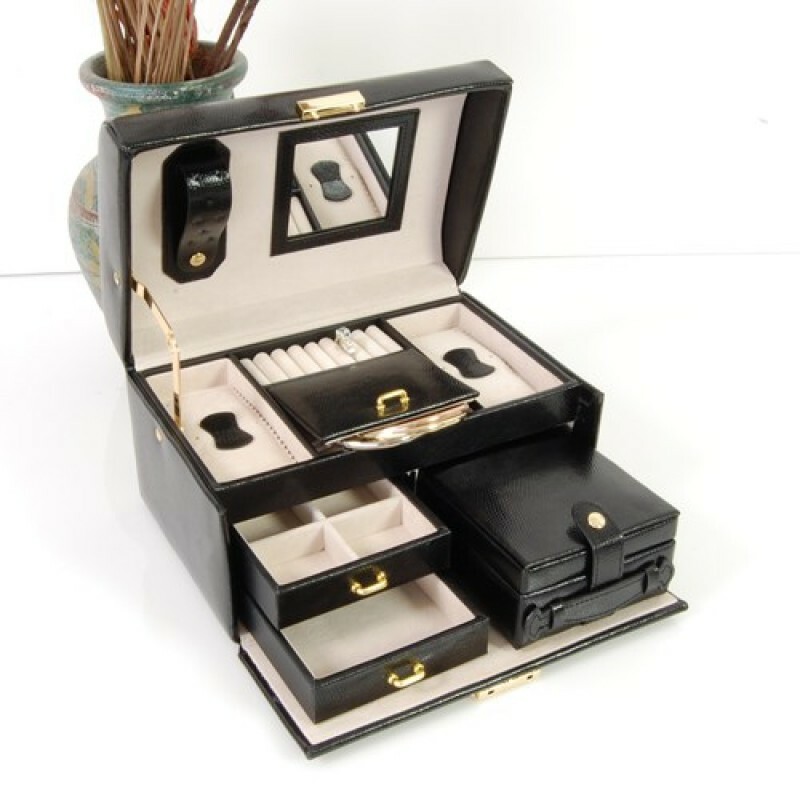 It boasts a pouched area with mirror, ring bars, earring sleeves and storage area with a removable cover that has its own snap closure.